Aritz Borda Etxezarreta, a Basque defender, is the latest Spanish player to be linked with a move to the Indian Super League. The 32-year-old central defender was released by Western Sydney Wanderers (WSW) by mutual consent in the wee hours of today, and reports suggest that the player could well be on his way to India, and FC Goa. FC Goa had a below-par ISL draft last Sunday when they spent the least among the ten ISL clubs on players. Spaniard Sergio Lobera is the club's new head coach after Zico departed following last season's bottom place finish and has the onus of taking FC Goa back to the top, like in 2015 when they reached the final. The Gaurs have, however, already roped in three other overseas players in Bruno Pinheiro, Manuel Arana Rodriguez and Ferran Corominas. The club are still some way off completing their 25-man squad for the forthcoming season. Borda joined Wanderers in July 2016 and played 14 games for the Australian outfit. 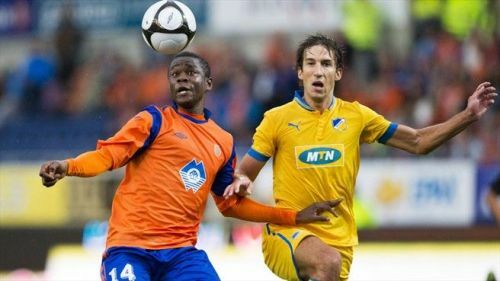 The former La Liga player has played in the Europa League with Cypriot club APOEL and the AFC Champions League with Wanderers, thereby boasting experience at the very top. FC Goa have signed the promising Chinglensana Singh and the addition of Borda alongside him will do the India prospect a world of good. Chinglensana had a good outing with Delhi Dynamos last time out and will be a certain starter in central defence under Lobera next season, possibly with Borda. The new-look ISL kick starts on 17th November later this year and teams are already making big transfers. Until now, ISL clubs have signed 17 foreigners and Borda stands to be the 18th overseas signing for ISL 2017-18. Out of those 17 international signings, seven are Spanish so the former Athletic Bilbao and Alaves defender will have plenty of company in India. Among the Spanish contingent, Bengaluru FC's Dimas Delgado had been teammates with Borda in the A-League with WSW. Clubs are actively on the lookout for quality foreign buys with the domestic signings now complete. Borda, with around 200 appearances in his career that has spanned three continents, will add quality and experience to any ISL side, not least FC Goa. If speculations are to be believed, then Borda could be an FC Goa player as early as Monday. ISL 2018-19 Transfer News: Shillong Lajong's Aibanbha Dohling close to FC Goa move?